Please ensure you have your health fund card available at the time of your appointment. Offer is only valid for patients with available health fund rebates, who have not reached their health fund’s annual dental ‘limits’. 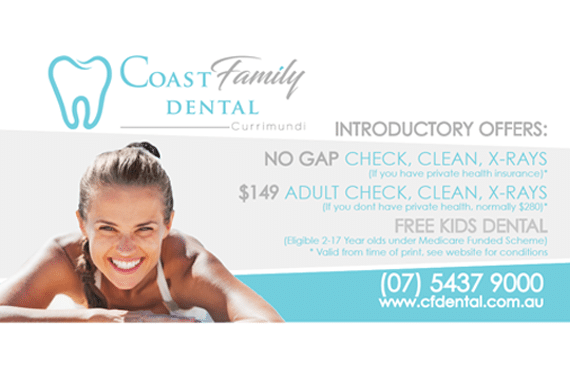 If your policy does not cover dental treatment or you have reached your annual ‘limit’, your health fund will not reimburse us and we may need to charge the standard fee for dental treatment. Offers are subject to change or be discontinued. Please ask our friendly staff about the particular promotion when booking an appointment.